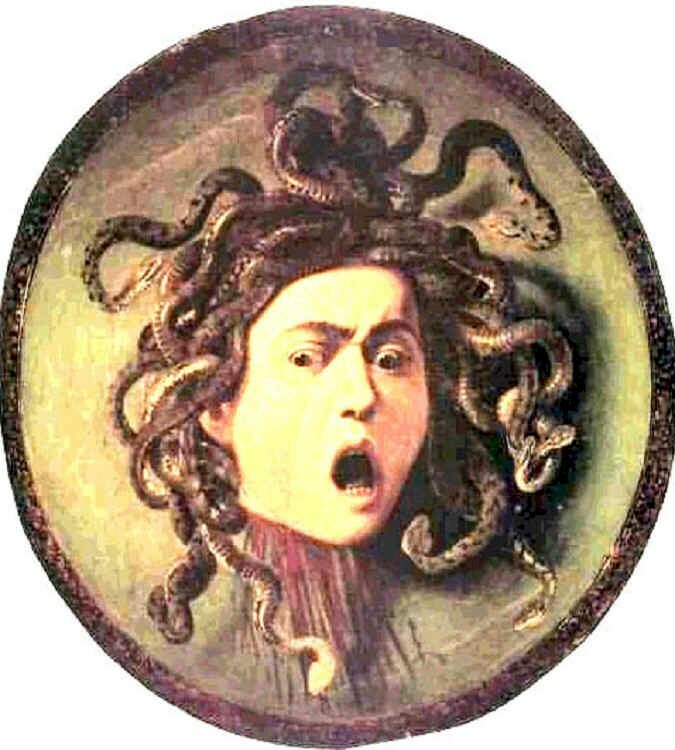 This, our first Thinking Costume post of 2011, is dedicated to the mythical character of Medusa. Medusa brings together my two of my three favorite types of costumes: (1) the use of a complex and interesting character and (2) a costume that can be effectively achieved with easily available clothes and simple makeup. (The third thing, abundant and disquieting gore, will surely make an appearance in later Thinking Costume posts). I originally started thinking of a Medusa look a few years ago, when Martha Stewart Living’s Halloween Edition did this lovely take on a Medusa hair style, replete with squirming snakes swept into an elegant updo. To bring your Medusa to life, accessorize with simple make up, strappy sandals, and a few pieces of dramatic costume jewelry: think antique-looking gold with large stones or coins. Glad you enjoyed it. I ought to put up some last minute tips as well – somehow I plan for Halloween for 360 days yet still am often pulling my costume together an hour before I’m supposed to be some place. That’s why all the recipes I link to can be made in advance – no time for making food when you’re still putting on makeup as guests are arriving! Thanks, jdc. I grew up on the classic Clash of the Titans, with the claymation gorgon-esque Medusa, so I was interested to note that the recent remake seemed to go with a more classically beautiful (albeit snakey) Medusa. My daughter just got into Greek Mythology, Medusa is her first pick for a Halloween costume, Great Post! I really enjoyed that article. You should write more about that topic.